Surely 60 million people can’t be wrong? It is for very good reason that the Sunshine State is one of the biggest tourist magnets in the West. Since the onset of low-priced air travel, it has replaced the Mediterranean as the sun-seeking peoples’ choice amongst Europeans - as well as for North Americans, who may have liked to keep their knowledge of the best places to stay in Florida to themselves! 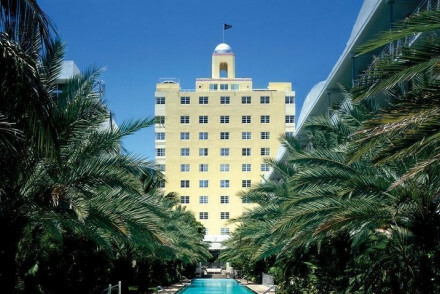 With the longest coastline on the mainland United States, Florida is best known for beaches, but the best places to stay in Florida aren’t all by the sea. The long coastline is only one part of this flat peninsula's story, where rich Latin American and Caribbean culture meets one of the world’s unique wetland habitats with wild, crocodile-infested mangrove swamps. 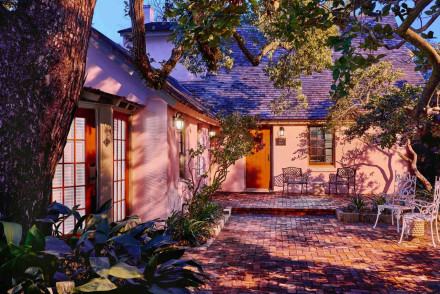 The best places to stay in the Sunshine State are the ones that offer glimpses of Florida in all its moods. From the wild hedonism of Miami’s South Beach, to the fisherman’s paradise of Key West in the famous Florida Keys and the concentration of theme parks headed by Walt Disney World (you need to stay in Orlando for these), the urbanisation that has made this state the fourth most populous in the US has not so far damaged its status as a nature-watcher’s paradise. Alligators, herons, manatees and sea turtles, osprey and eagles, dolphins and tarpon all dwell here and there are touches of the primitive paradise where precious rare orchids flourish in inaccessible wetlands. 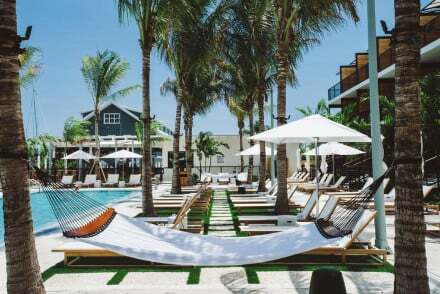 For a beach holiday on Florida's Atlantic coast, check out our picks in Miami, Palm Beach, Delray Beach, St Augustine or Fort Lauderdale. On the Gulf of Mexico there's Naples, Boca Grande, Tampa or Santa Rosa Beach. If you're here with your family then you can't go wrong with a trip to Orlando's The Wizarding World of Harry Potter or Walt Disney World, both part of Universal's Islands of Adventure. Just be warned that in peak season the queues will be very long! If you fancy something a little more grown up then check out the National Naval Aviation Museum, home to over 150 aircraft as well as some incredible flight simulations which you absolutely must try! The NASA Kennedy Space Center is a wonderful spot, whether you're a science nut or not. Touch a moon rock, meet a veteran astronaut and take in the magnificent displays shown in their IMAX cinema. The Everglades National Park offers a vast 1.5 million acres of subtropical swamp and marsh. Here you can find crocodiles, turtles, otters and birdlife galore. The best way to take it all in is on a guided boat trip. 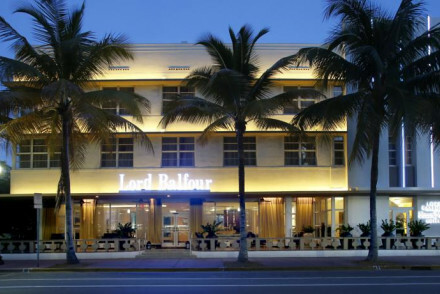 Miami Beach is a long strip of golden sand, lined with fabulous art-deco buildings and frequented by the great and the good. Perfect for a spot of people-watching from one of the many bars and restaurants. 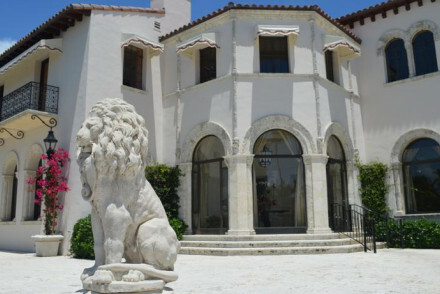 The Ringling Museum in Sarasota is Florida's State Art Museum and the collection boasts some 28,000 pieces representing art from ancient times right up to the present day. Art buffs might also want to pop in to the Salvador Dali Museum in St Petersburg, which is just a short hop north. Florida goes from big and brash to delicately natural in a second, making it a dream destination. 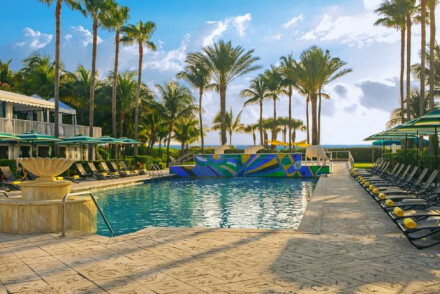 Our pick of the best places to stay in Florida reflect this diversity, with a good selection for all from family favourites, to glamorous boutiques. 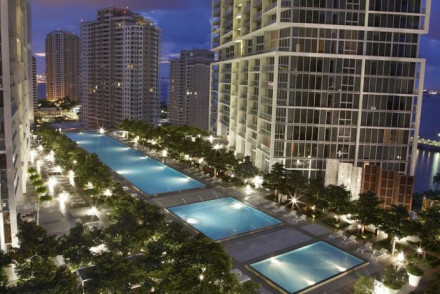 Viceroy Miami enjoys a splendid location amidst Miami's financial district. Offering chic accommodation with indulgent furnishings, there's also a spa and a 300-foot pool. A luxurious choice. 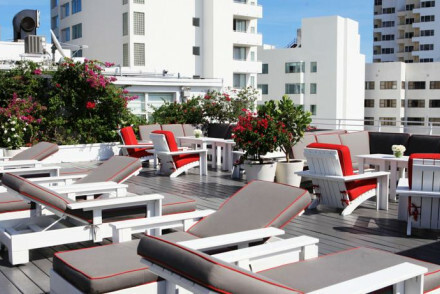 The uber-sophisticated Tides South Beach boasts glorious accommodation in sunset hues, marble bathrooms and various pieces of art-deco furniture dotted around. Tuck into gourmet seafood and treat yourself to a massage for complete relaxation. 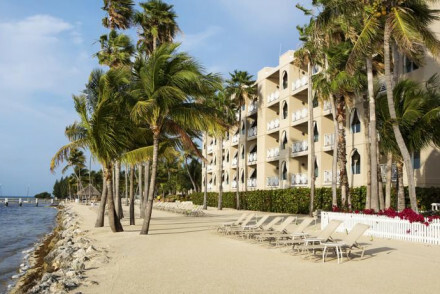 Located on a private island and surrounded by landscaped gardens, Fisher Island Club & Hotel is the ideal romantic getaway. 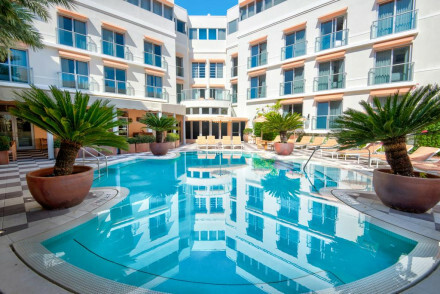 Offering smart, tasteful accommodation, there's also a private beach, two restaurants and a pool - what more could you ask for? 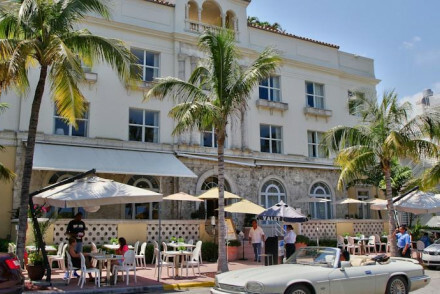 Casa Claridge’s offers Mediterranean moods in the heart of Miami’s liveliest district. Great rooms to come home to in the small hours. 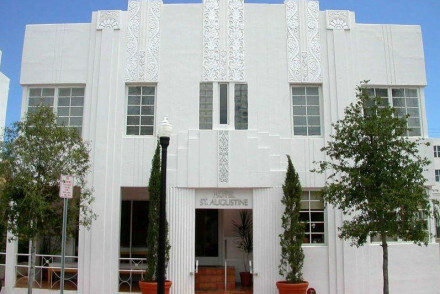 Hotel Victor, Miami is an exceptionally cool Art Deco designed hotel, well-placed in South Beach’s Ocean Drive for the sights of the city as well as for the bars and clubs. 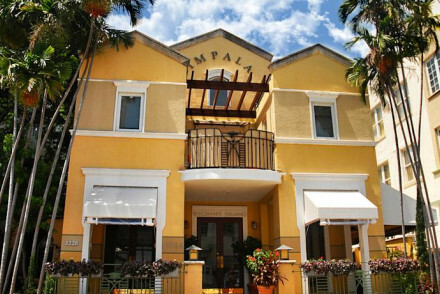 Hotel Impala, on Miami's South Beach is a luxurious 17-room boutique with the intimacy of a Mediterranean retreat, although close to the action it manages to be an oasis of peace. 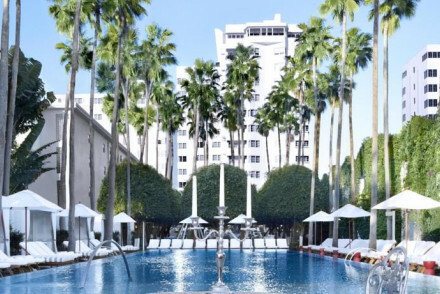 With its seaside location, splendid views, charming minimalist accommodation and extensive spa facilities, The Standard Spa Miami has all you need. What's more, it's adults only, so you'll come back feeling utterly rejuvenated. 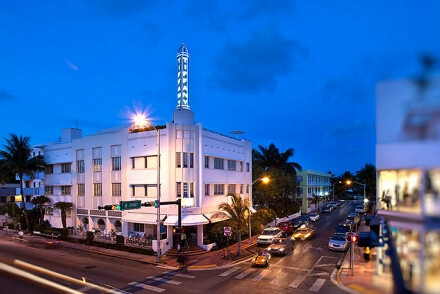 The oceanfront Surfcomber provides colourful, boutique rooms drawing inspiration from Miami's art-deco heritage. There's a pool, two bars and a restaurant, and up to two kids under 12 stay free - so it's a great choice for those travelling with young ones. 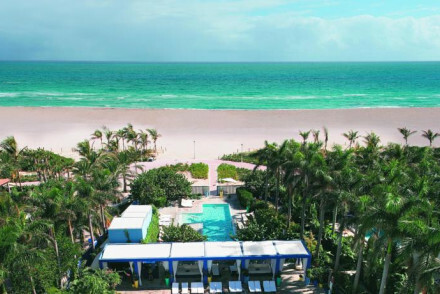 The Setai offers oceanfront luxury on Miami Beach. Suites are spectacular with either city or sea views and the facilities are second to none. 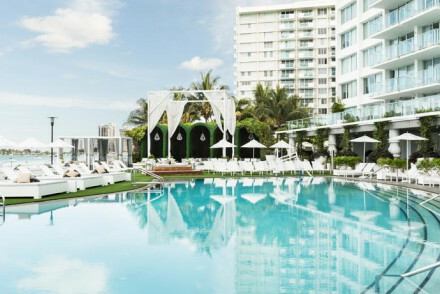 Located in the heart of South Beach right by all the nightlife, Shore Club is the ultimate party hotel -boasting a number of its own poolside bars as well as a buzzy Skybar. With trendy accommodation in white and sophisticated dining, it's a top all-round choice. With family suites available, tasteful accommodation and all the necessary mod cons. 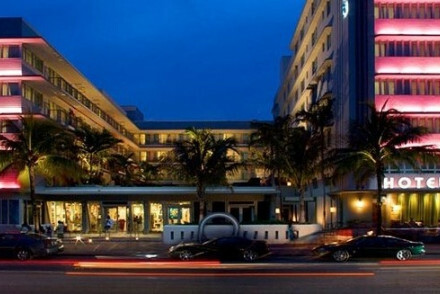 for a great trip, The Angler's has everything you need - and just a few minutes away from South Beach's buzzy downtown. 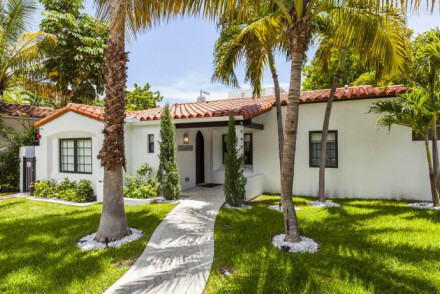 1818 Meridian House is a great option if you're on a strict budget, but still want a South Beach location. They have a wide range of accommodation and studios start from as little as $109 per night. 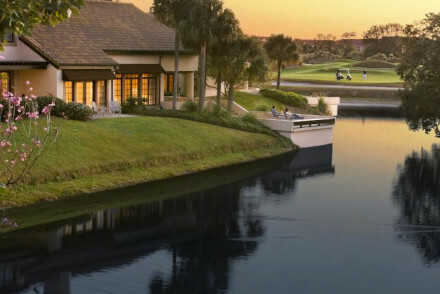 Villas of Grand Cypress, Orlando are located in the heart of Central Florida. 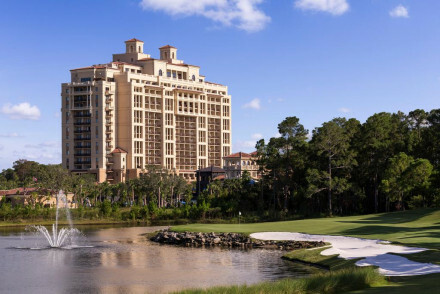 This luxury retreat offers 45 holes of award-winning Jack Nicklaus Signature-designed golf, top-notch instruction at Grand Cypress Academy of Golf, good dining and a full range of non-golfing activities for those who don’t play. The Pillars is a classy spot, offering colonial-style accommodation and a lovely Mediterrannean restaurant. If you fancy heading into downtown Fort Lauderdale then just hop in the water taxi! Artist House, Key West, Florida Keys. 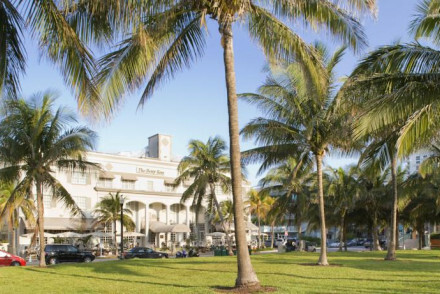 You can’t get much more “away from it all” in US terms than in Key West. This restored late-Victorian mansion has romantic old world charm built in. Remodelled and recently refurbished, it’s the perfect getaway. 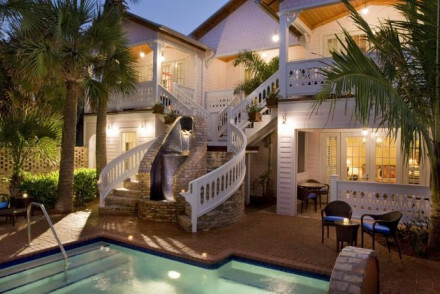 Little Palm Island is a seriously romantic property, with a price tag to match! The tropical island location plus private marina, pampering spa and fabulous food make it a luxury hideaway not to be missed. At Hawks Cay Resort you'll find pristine blue waters in a sheltered bay with private beach access. Ideal for jet skiing, snorkelling, fishing, or swimming with dolphins. Kids are welcome and they run a good babysitting service. 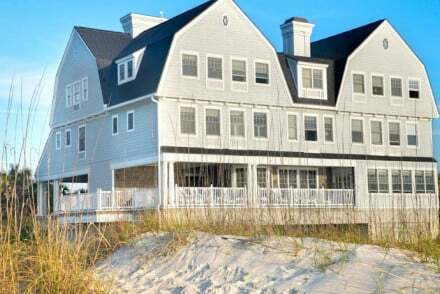 WaterColor Inn & Resort, Santa Rosa Beach is coastal resort on the Panhandle. The award-winning WaterColor offers no fewer than three pristine courses including The Greg Norman-designed Shark's Tooth Golf Club on the shores of Lake Powell, Florida's largest coastal dune lake. The Chesterfield boasts classically elegant rooms and a wonderful restaurant. Spend your days by the pool before relaxing in the hot tub and enjoying the hotel's evening entertainment. Set in a charming Moorish-style property with elegant interiors to match, Casa Monica is a lovely getaway for couples. Tuck into Asian or Middle Eastern cuisine at the restaurant and forget about all your worries in the spoiling spa. The tropical Little Palm Island boasts wonderfully romantic bungalows with muslin draped beds, charming wooden furnishings and splendid ocean views. Spend your days swimming with dolphins, learning how to scuba dive or unwinding in the spa. An utterly glorious stay! 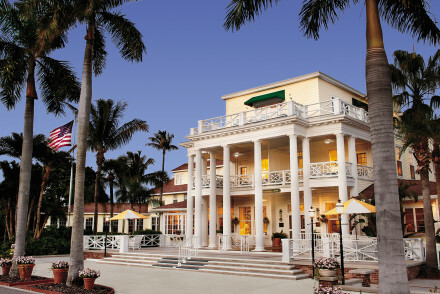 Gasparilla Inn & Club, Boca Grande has been a family-friendly west coast resort for generations. It specialises in spring break activities for kids as well as adults, such as sand castle contests, laser tag, beach games, "drive-in" movies, bingo and much more. Offering fully equipped 2 or 3 bedroom beach houses, Tranquility Bay Resort is a great choice for families. Spend your days lounging on the beach getting involved in a variety of watersports or playing golf nearby. 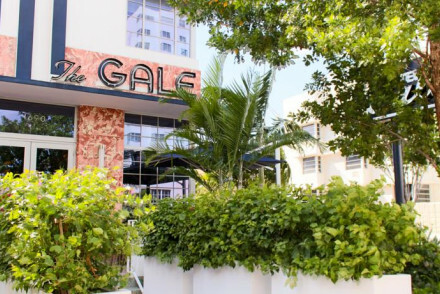 The Gates Hotel boasts crisp, contemporary, whitewashed accommodation with spacious family suites also available. Ideally located to spend your days getting stuck into various watersports or to unwind on the beach. 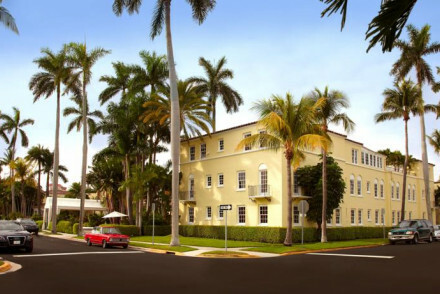 Or how about the Colony Hotel and Cabana Club on Delray Beach? 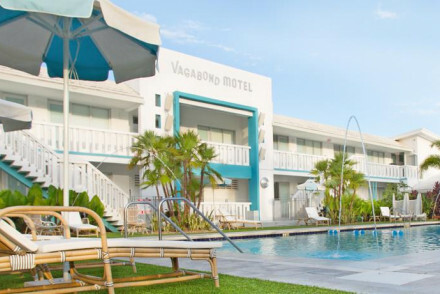 Here you are just blocks from the ocean and rooms start from just $150. Best time to visit - Florida is a year round destination with daytime temperatures never generally dipping much below 20 degrees, but it might be a good idea to avoid the colder months if you're visiting the northern region of the state and the intense heat and humidity of July and August. It is also worth noting that hurricane season runs from June to November. Another point to bear in mind is that if you want to avoid queuing at theme parks, you should try to avoid the school holidays! International visitors can either fly into Orlando Airport, Miami International Airport or Tampa International Airport. These are all well served by public transport links to their respective cities and the surrounding areas. 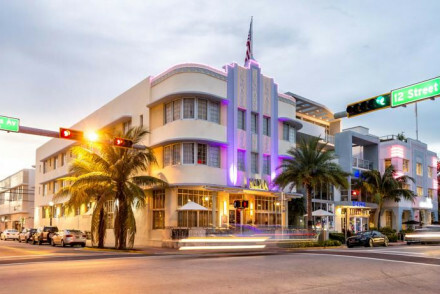 Virgin Atlantic, British Airways and American Airlines fly direct from Heathrow to Miami. British Airways go from Gatwick to Tampa and Orlando, whilst Virgin Atlantic also go from Gatwick to Orlando. The journey time is usually between 9 and 10 hours. 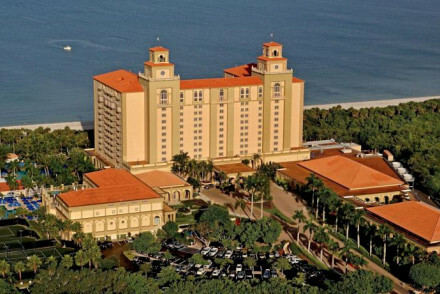 Browse through our list of all the best places to stay in the Florida. 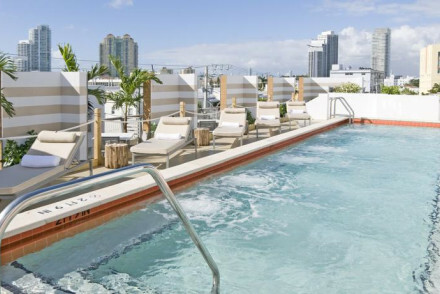 Narrow your search to look through our selections of the best places to stay in Miami or Tampa. Widen the net to include our recommendations in Georgia. 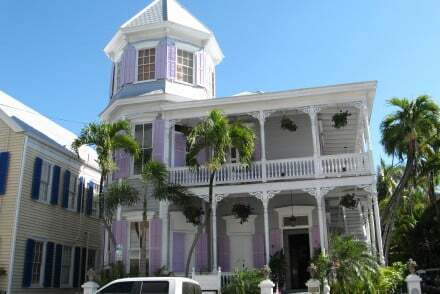 An historical bed & breakfast in downtown Key West housed in a restored Victorian mansion with a turret. High-ceilinged rooms retain original character with ornate woodwork and well-appointed furnishings. Complimentary breakfast can be enjoyed in the garden or the front porch. Private outdoor pool. 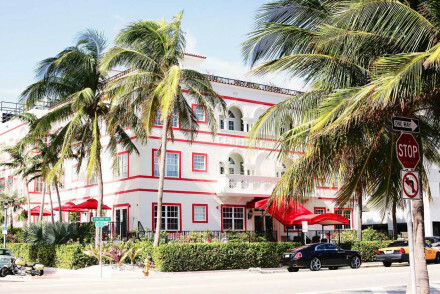 This cheerfully yellow historic hotel just blocks from the ocean will welcome you in with charm and grace. Original features bring more than a touch of authenticity but the indulgence of modern comfortable living is never forsaken with organic cotton sheets and dreamy beds. Bar, pool, restaurant. 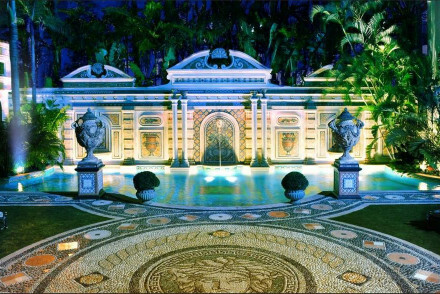 Romantic - A prime example of the romantic Flagler era of Florida Mediterranean architecture. 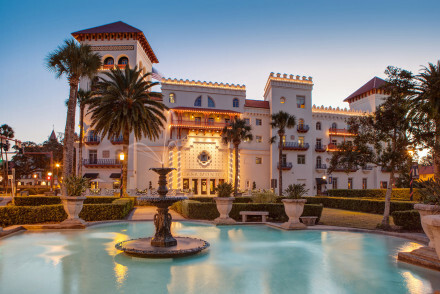 An inviting step back in time set on the Jacksonville oceanfront. The historic hotel's interiors evoke 1920s glamour, with one-of-a-kind furniture carved from wood, plush armchairs, and framed art on the walls. In the Casa Marina Restaurant you can enjoy local seafood with an international twist. Sights nearby - A short walk from Casa Marina you can stroll along Jacksonville Pier, and Jacksonville Historical Society is a short drive away. 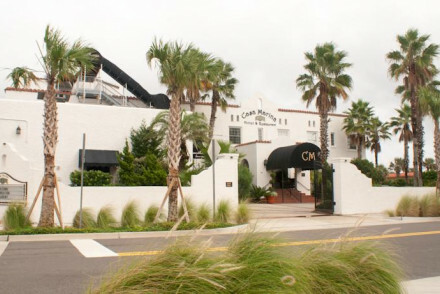 On the beach - Located right on Jacksonville Beach. Four poster beds - In some rooms. 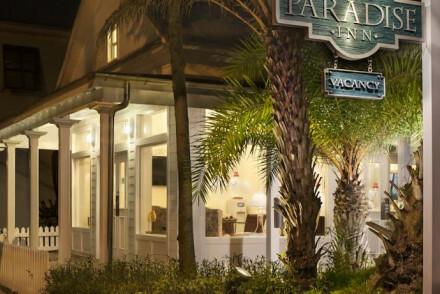 Set in what is billed as the oldest town in the US, this hotel is set in beautiful colonial buildings surrounded by stunning gardens, with a nostalgic Hemmingway-esque bar. Rooms are a marvellous mix of old-world charm and contemporary style. A unique stay. Secluded seaside hotel with private marina, pool and beach access. Charming rooms with light walls, dark wood furniture and nature-inspired art summon up a laid-back elegance. Bicycles, kayaks, paddle boards and fishing poles included. Guests can grill their dinner on the fire pit barbeque outside. Kayaking - Groups and individuals can enjoy kayaking around the shallow waters of the island and explore using the hotel's own kayaks. Diving - Scuba diving opens up a world of shimmering tropical fish, strange sea creatures and a stunning underwater landscape. Fishing - Bonefish, redfish, snook and trout, and yellowtail snapper populate the waters around Key Largo. On the beach - The hotel offers guests private access to the beach. 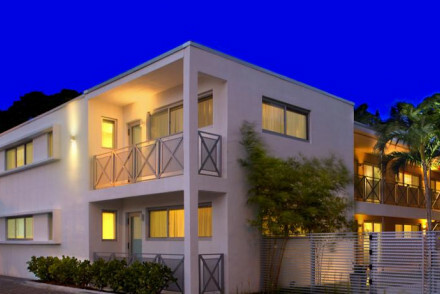 Fully-equipped 2 and 3 bed beach-houses set on pristine white sands overlooking the Gulf of Mexico. Soothing pastel tones complement light woods and wicker accents. Three swimming pools, beach-side bar, international restaurant, and the chance to enjoy a range of activities, from golf to kayaking. Families - With the opportunity to rent houses, rather than rooms, families can easily be accommodated. Kids Club - There are age-graded activities for children, including diving lessons, snorkelling and scuba classes. 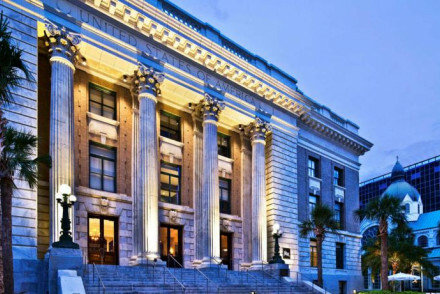 This renovated former courthouse is now one of Tampa's most grand and imposing hotels. Featuring modern, sleek interiors with marble accents in the bathroom and large windows, the hotel owners have managed to marry traditional architecture to an eye for contemporary design. Pool, gym, restaurant. 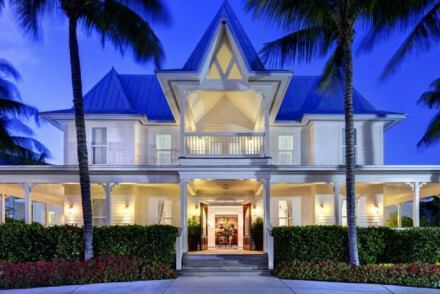 A chic Floridian property just steps from the beach. Smart rooms are white on white with light wooden furniture and pops of colour coming from pretty soft furnishings. An enormous pool is made for days lounging under the sun. A lively poolside bar and food truck bring some serious cool. Bliss. Total relaxation - Step into the island way of life with lazy days spent by the pool or on one of the stunning beaches. Families - A family friendly property complete with designated suites and plenty to keep everyone entertained. 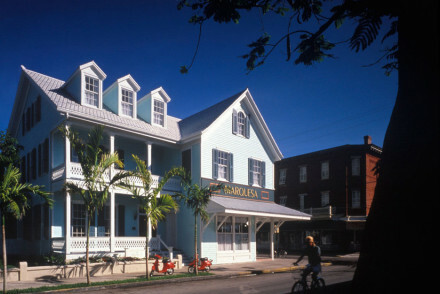 Historic property in bustling Key West, with whimsical peaked roofs, gingerbread trim and wooden porches. Rooms have marble baths, hand-carved beds and heirloom furnishings. The elegant restaurant "Cafe Marquesa" serves imaginative Neo-American cuisine with an Asian twist and excellent seafood. Bold choices in the interior design draw on ornate botanical patterns and Victorian opulence coupled with Floridian laid-back charm. Hot tub, swimming pool, bicycles. At The Chesterfield, you can eat outside on the terrace or enjoy the atmosphere of the Lizard Restaurant, Lounge and Bar. 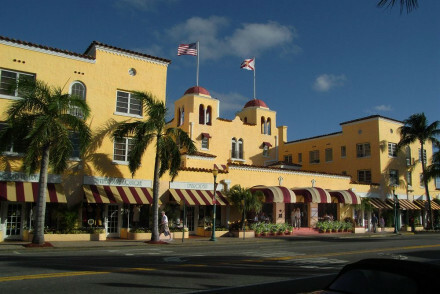 A Moorish revival-style building housing a luxurious and opulent hotel. Interiors match the Moorish exterior, with rich hues and detailed floral and oriental motifs. On-site restaurant serves cuisine with a Mediterranean slant. Pool, hot tub, gym, spa. Luxury penthouse available, pets welcome. 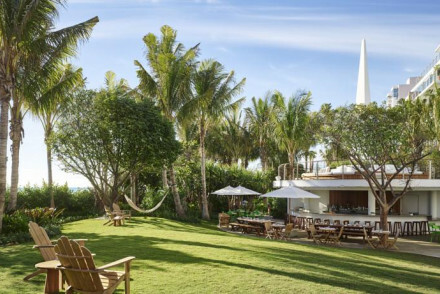 Resting in 27 acres of garden along a one-mile private beach, this spa resort offers Atlantic views and a wide range of activities. Rooms are bright and well equipped, the restaurant specialises in seafood and The Tiki Bar overlooks the ocean and pool. Relax at the spa or tone up. Fishing - A private fishing 525-foot pier is the perfect spot for guests to try a hand at fishing in the Atlantic Ocean. Sights nearby - Miami Seaquarium is a great day trip for all the family. Kayaking - Kayaks are readily avalaible in the saltwater lagoon. 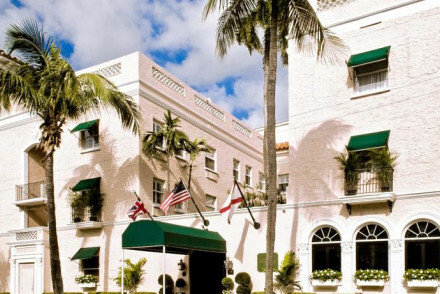 A chic and romantic hotel in the centre of down-town Palm Beach, with a heated outdoor pool and hot tub for lounging with loved ones. Restaurant serving exquisite seasonal French cuisine. Spa and salon offering massages, beauty treatments, and haircuts. Rooms are lavishly but tastefully decorated. Romantic beachfront hotel with charming shingles and a wide porch overlooking the sea. Enjoy a leisurely breakfast or brunch on the porch, and in the evenings partake of complementary wine and nibbles. Rooms and suites decorated with nature-inspired colours, prints and materials. Bicycles for hire. Sights nearby - Only 3.5 km away is the Amelia Island Museum where you can see a replica Timucuan Village amongst other historical exhibits. Views - Every room has either an oceanfront or a sunset view. 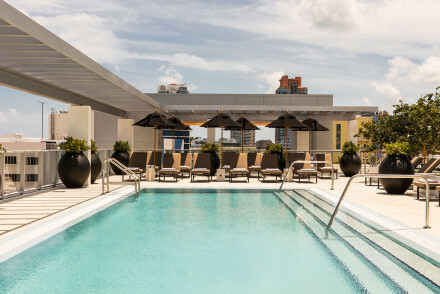 Warm and sophisticated hotel perched on the banks of the Intercoastal Waterway. Views onto the water or the outdoor pool from rooms and suites which are tastefully decorated in a colonial style. Hop on the water taxi to explore downtown Fort Lauderdale. On-site restaurant serves Mediterranean fare. Views - Of the intracoastal waterway. A romantic hideaway just steps from the sea at Melbourne Beach. Eleven rooms tastefully and individually furnished with gorgeous four-poster and bamboo beds, spa baths in each bathroom, balconies and floral motifs. Gourmet breakfasts served on the patio are included and special diets catered for. Sights nearby - Located opposite Ocean Park, just 15 minutes’ drive from Foosaner Art Museum. Views - Stunning ocean views from some rooms. Relaxing and comfortable vacation destination on pristine sands of Florida's panhandle. With a kids' club, on-site golf course and outdoor pool, as well as complimentary use of bicycles, kayaks, and canoes, there is no shortage of fun activities. Interiors are modern and cheerful. Waterfront dining. Kids Club - Camp WaterColor has a low counselor to child ratio (8:1) that encourages boundless creativity, care and fun. On the beach - The hotel boasts a private beach. Serene beachside retreat. Utter comfort, elegant rooms, indulgent accents. 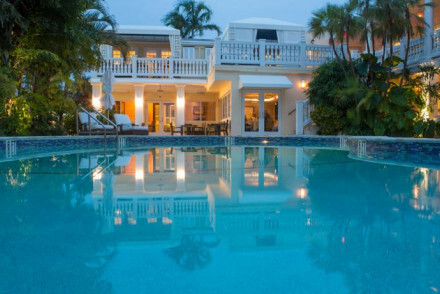 Carefully tended grounds include lush gardens, private island and beach access. Swim with dolphins, go snorkelling, recline in a hammock, lounge by the year-round outdoor pool, or enjoy a drink at the beachside bar. Views - Some rooms have views of the sea or gardens. 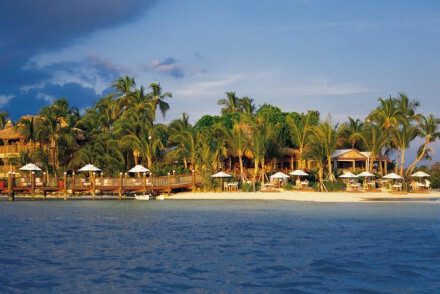 Tropical resort and spa on a sheltered bay with aquamarine waters and private beach. Go jet skiing, snorkelling, fishing, or swimming with dolphins. Interiors feature comfortable heritage-style furniture. 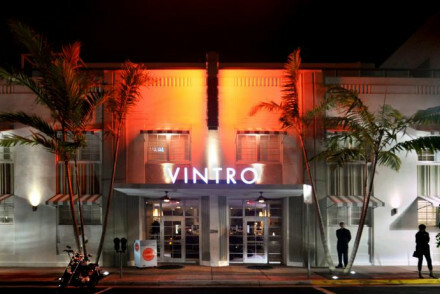 Dine on Latin, Mediterranean or American cuisine in one of the three on-site restaurants. Swimming Pool - There are five swimming pools on the resort. A tranquil adults-only bed and breakfast with outdoor jacuzzi and fountain fed pool. The exquisitely simple rooms, painted in calming whites and nudes, are flooded with natural light and furnished with an eye for Floridian refinement. Breakfast and wine and cheese happy hour are included. Diving - It is possible to go scuba diving in the waters surrounding the island. Sailing - Go for a sunset sail on the ocean. Fishing - Boca Grande has long been known as "the tarpon fishing capital of the world." Spa - Massages, Body Treatments, and a full venue of fitness classes are offered. Sailing - The resort has its own marina. 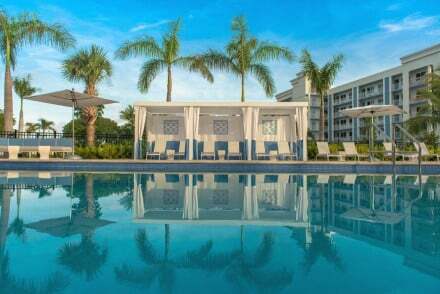 Spectacular suites-only resort hotel right by Orlando's top theme parks. Activities include golf, sailing, cycling, swimming in the outdoor pool, fishing and tennis. Interiors are warm and inviting with understated modern furnishings, elegant bathrooms and sleek living areas. Dining options abound. 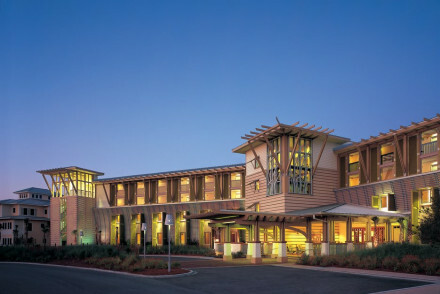 Outstanding location - The resort is adjacent to Disney World. Eighteen private villas nestled among the lush tropical gardens of a former coconut plantation. 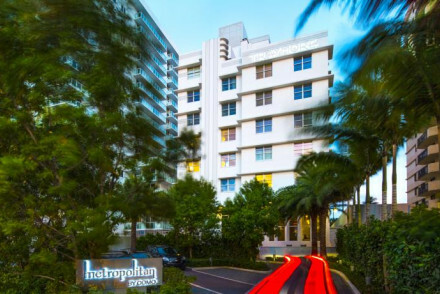 Beautifully furnished interiors have views onto the garden, outdoor pool or ocean and come fully equipped with kitchens, flat screen TVs and other necessities. Activities such as kayaking can be arranged. On the beach - Private beach access to 1,100 ft. of natural white sand beach. Views - Pool, garden and ocean views. 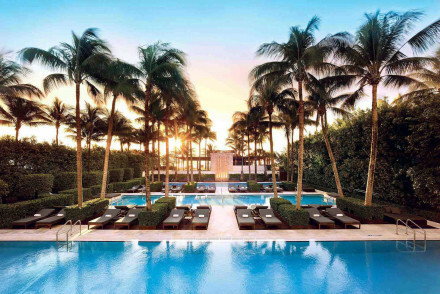 Florida's number one resort has it all: marble detailing in bathrooms, feather beds, balconies for every room and suite, a full-service spa, a bar and two restaurants, two outdoor pools and a bold and classy eye for design. Enjoy cabana luxury in this chic, nautical-inspired beach-front paradise. 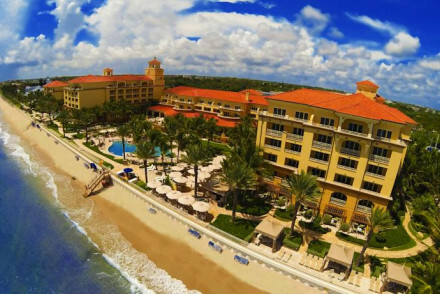 On the beach - Soak up the sun, sea and sand on Eau Palm Beach's personal access to the beach. Views - Views over the ocean, the city and the beautiful resort gardens. 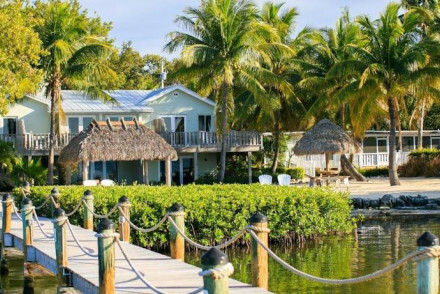 A new kind of hotel for Florida Keys, this industrial boathouse style hotel sits right on an active marina on Stock Island. The interiors are all raw steels, concrete, wood and salvage materials, add to this nautical theme sculptures and modern furnishings. There's yummy seafood and drinks too. 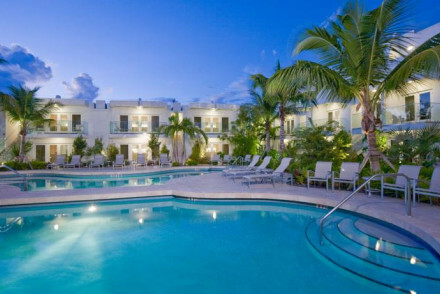 Downtown Key West resort with tropical palm-fringed gardens surrounding two heated outdoor pools. Carefully appointed suites are bright and airy, have private balconies and feature fully equipped kitchens to cook for family and friends. Alternatively, dine in the sophisticated Japanese restaurant. Sights nearby - Ten minutes' walk from the Ernest Hemingway house. 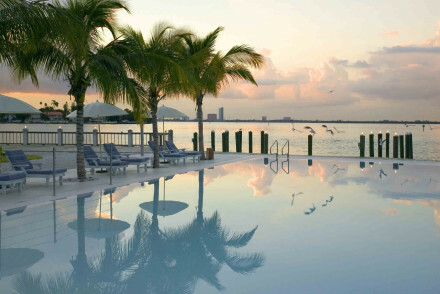 This five-star luxurious and contemporary hotel rests on the Gulf of Mexico with many activities. 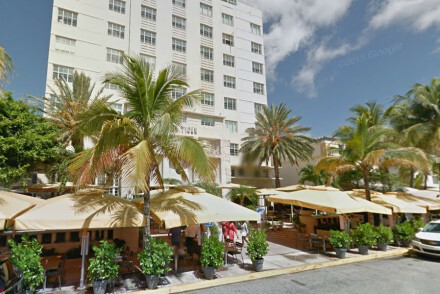 Seven restaurants, a bar, two pools and prime location to Naples. Rooms are contemporary with everything you need, baths and sea facing views. Spa treatments are the ultimate relax option for guests. 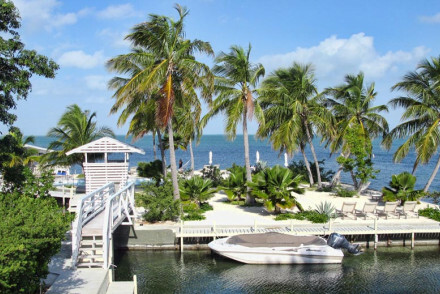 This tropical resort with beach, salon, spa, private marina, yoga and outdoor pool is the ultimate in beachside romance. Dine in the dining room or request a more intimate affair on the beach or in your bungalow. 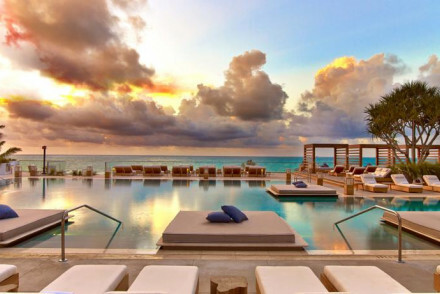 Swim with dolphins, learn to scuba dive, or simply watch the sunset from your porch. 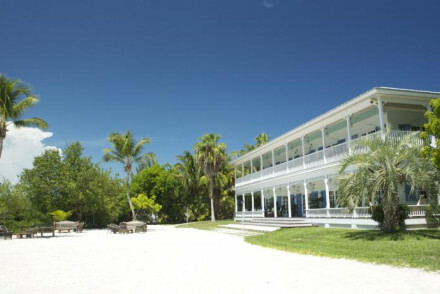 Diving - Looe Key Reef Dive Center is 2.1 km from the resort. 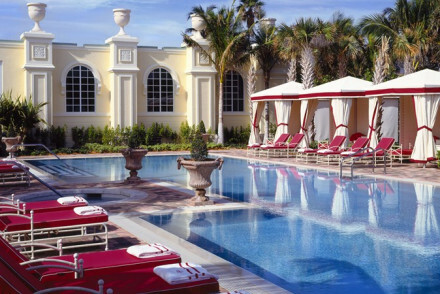 This expansive Four Seasons hotel offers a uniquely 5 star Disney World experience. The rooms and suites are cool and contemporary with every added indulgence you can think of, and many offer views over the park. The facilities, from food to spa, and grounds, are all you would expect- incredible!